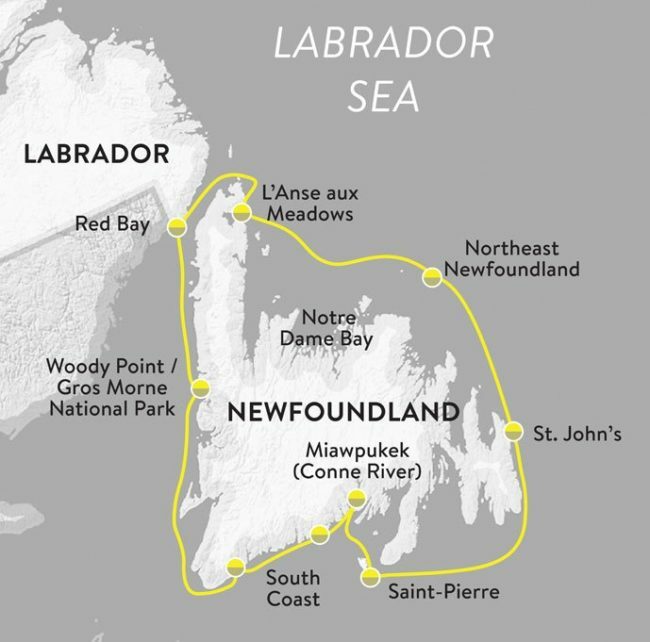 Newfoundland Circumnavigation – The Great Canadian Travel Co.
2020 sailings, save 15% for bookings made by October 31, 2019. (See Tour Notes for details). 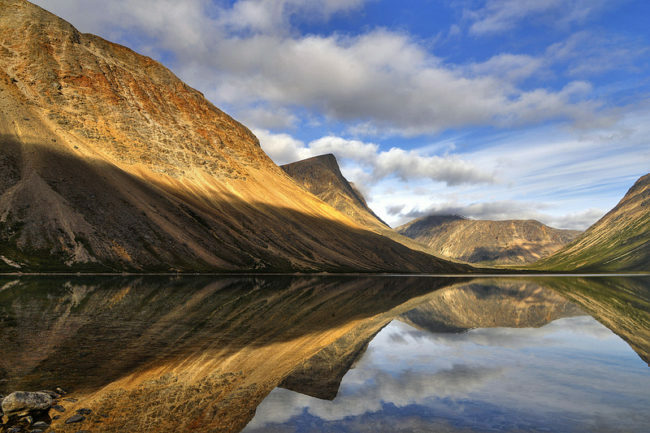 This expedition by ship around Newfoundland is ideal to highlight the island’s charm and geographic diversity, which are best appreciated when visiting by sea! A stop at the French island of Saint-Pierre caps off the adventure. Prices are shown in US$, per person based on three people sharing a triple cabin, two people sharing a twin cabin and one person in a single cabin. Special single rates are available in Category 3-7. Welcome to St. John’s—Newfoundland’s historic, vibrant capital. Picturesque and welcoming, with a world-famous harbour, St. John’s has been continually fished since 1498, allowing it to boast the designation of North America’s oldest European settlement. We will offer an optional afternoon city tour to those interested. Afterwards, we will rendezvous at the docks and board the Ocean Endeavour to begin the adventure proper. Passengers will meet the staff and crew, and prepare to leave the harbour. Sailing out of St. John’s has to be experienced to be believed; Signal Hill keeps watch over the world-famous Narrows as we head for open water. 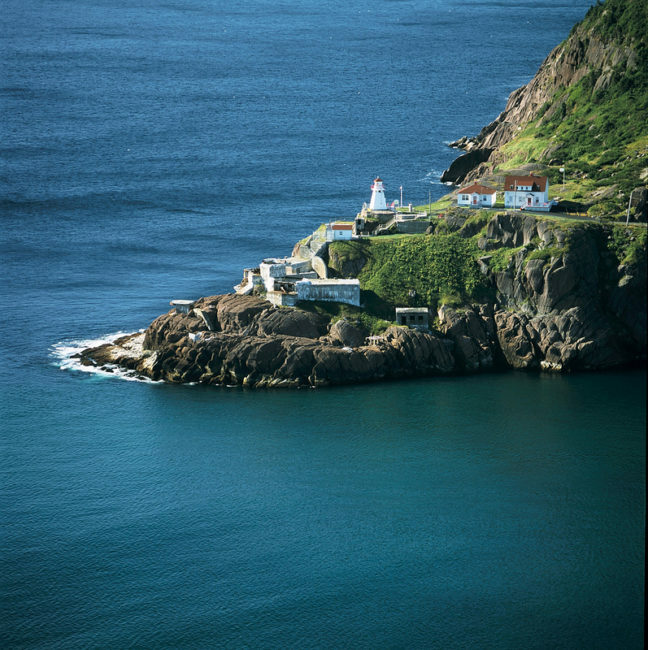 Starting and ending in historic St. John’s, we experience Newfoundland’s lively culture and dramatic scenery in daily expedition stops. A visit to the French island of Saint-Pierre caps the adventure. The welcome we receive in Newfoundland’s out-port communities is warm and genuine; the music and stories unforgettable. Experience the province’s legendary music, food, and hospitality the way it was meant to be experienced—by sea. At Gros Morne, the planet’s mantle frames fjords that would be at home in Norway; on the Avalon Peninsula, a chunk of what was once Africa meets remnants of the Appalachian Mountains. We will visit Red Bay, learn about the Viking history in North America at L’Anse aux Meadows. The northeast coast of Newfoundland is known for the dozens of quaint villages that dot its rocky shores, and it is to one of these small settlements that we will be paying a visit today. We may look forward to a characteristically warm Newfoundland welcome upon our arrival. The area itself is home to a plethora of islands and, seasonally, ice bergs that drift in from the Atlantic; the Ocean Endeavour will chart a scenic course past these beautiful obstacles as we head north. 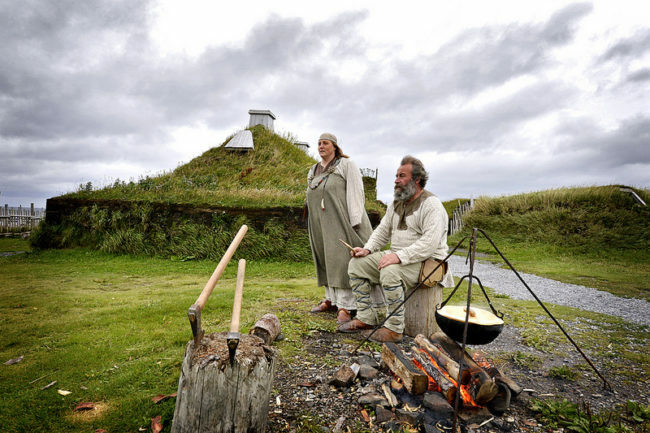 A UNESCO World Heritage Site, L’Anse aux Meadows is the only authenticated former Norse settlement in North America. The archaeological remains found here in 1960 date to approximately 1000 AD. Amazingly, the location of the ruins was first established by a close reading of the Viking sagas. Today, a superb interpretive centre and reconstructions of the several Norse-style sod buildings make L’Anse aux Meadows a must-see for any visitor to Newfoundland. The First Nations community of Miawpukek has a mandate for economic self-sufficiency, guided by traditional values. It became a permanent settlement sometime around 1822. Before then, it was one of many semi-permanent camping sites used by the Mi’kmaw people—who, at the time, travelled throughout the east coast. Since its establishment as a reserve in 1987, Miawpukek’s employment rate has increased from 10% to nearly 100% and Indian and Northern Affairs often references the community as a model for other First Nations. With the help of community leaders, we will receive a formal welcome into Miawpukek and meet the locals. Explore Saint-Pierre, a last bastion of France’s colonial territories in North America. The island’s 6,500 residents are of varied descent including French, Basque, Breton, and Normand. St. Pierre’s architecture reflects its history: an eclectic collection of colours and style aligned on picturesque cobblestone streets and alleys. We will have time for a tour of the city and independent exploration in the surrounding area. Take advantage of this day in France to enjoy some wine and cheese, and unwind in a tiny slice of old Europe nestled into the North American coast. On the final day of our expedition, we will say our farewells and begin the process of departure. Staff will be on hand to assist you with luggage and transportation arrangements. Please ask about extending your time in St. John’s either before or after your cruise, or perhaps renting a car to do a short self-drive to areas not already visited. 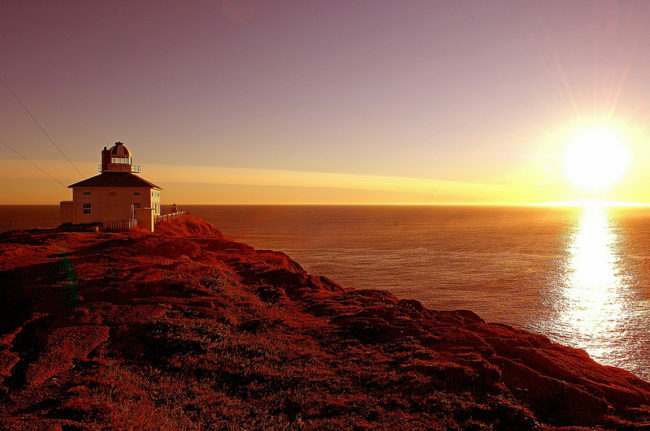 There’s never enough time to explore all of Newfoundland’s treasures!